Hypomineralization, with regard to teeth, refers to the effect of too much exposure to fluoride; in bones, it refers to the effect of too much calcium. 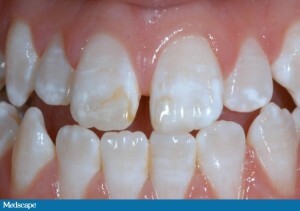 Depending on the time of exposure and the “peak amounts” of fluoride, the result may be mottling of the tooth, which shows up initially as “white spots.” These progress into permanently stained, brown mottled teeth because the enamel has become subject to decay – this also leads to the formation of caries, lesions or cavities. As the tooth becomes more porous, its porosity is increased relative to the degree of fluorosis. Put succinctly, white spots on your teeth can appear as an unsightly view not only because they spoil your smile, but because they can ruin your confidence. In a general sense, the white spots are not clearly visible but if you check carefully you will notice that they indeed appear whiter than the rest of the tooth. 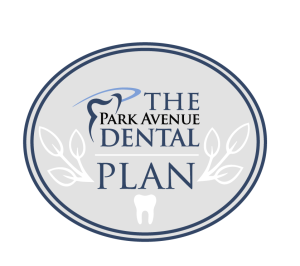 While these white spots are normally a cosmetic concern and do not adversely affect oral health, a professional dentist such as Dr. Michael Sherman of Park Avenue Dental can rectify any issues regarding the white spots through various dental procedures. As we already touched upon, white spots are the result of numerous factors, beginning with fluorosis, the most common kind; this condition damages the enamel of the tooth from excessive intake of fluoride mainly from children before their teeth are fully developed. During the growth process of a tooth, excessive calcium gets released which results in white spots on the enamel, appearing unattractive particularly if the front teeth are exhibiting the calcium deposits. White spots can also appear because of mineral loss in the tooth, a condition referred to as hypocalcification, with the white spots themselves referred to as hypoplasia. Another known cause originates from poor oral health around braces, as white spots can develop once braces are removed. There exist various methods by which a dentist can remove the calcium deposits from your teeth such as bleaching to conceal the discoloration or air abrasion which blows crystal particles towards the calcium deposit at high speed. Any remaining spot is generally fixed with the use of filling material, in which your dentist will apply white filling on the spot to cover the calcium deposit; however, if the white spots are very large, microabrasion will not be a viable option. In this case, a porcelain veneer or cap would be required to cover up the spot or spots. Up until recently, the most effective way of removing white spots was through microabrasion, but because the procedure is sometimes considered rough on the tooth and routinely removes some of the enamel as well, other approaches such as the Resin Infiltration System have been developed so that the enamel and tooth structure remain unaffected. • Resin Infiltration System –This works by infiltrating the pores of the tooth where the white spot is located via a patented tooth-colored resin similar to that used in white fillings. A special gel is applied to the white spot to open up the pores, thus enabling a deep penetration of the resin. The resin is then light-cured, while the white spot infiltrated by the resin takes on the appearance of the surrounding healthy enamel. The resin also blocks enamel-eating acid and preserves the tooth from additional decay. With the Resin Infiltration System, no drills are used and no anesthesia is necessary, the whole process taking only about 15 minutes. • Topical Remineralization Therapy –This procedure represents a natural way to fill in the microscopic holes that give white spots their chalky-white appearance; this is why some white spots fade when brushing and flossing are increased. Until the late 1990s, it was believed that the best treatment available for most white spots was fluoride, and that high doses could stop white spots from getting larger. Unfortunately, some of these high-dose fluoride regimens simply turned white spots into brown spots. • Prescription Pastes –Such pastes containing CCP-ACP and less than 1000 ppm fluoride has been shown to aid in the remineralization process; after braces are off, we recommend therapeutic chewing of Trident Xtra Care gum because it contains the active ingredient – ACP – to fix white spots. • White spots are 100-percent preventable with perfect brushing and flossing. • According to a 2012 national survey of general dentists and orthodontists, 10 to 20-percent of kids get white spots from wearing braces. • Poor brushing can cause white spots. • Orthodontists can predict the chances of getting white spots because they know plaque causes them around braces and are aware of the risk factors. 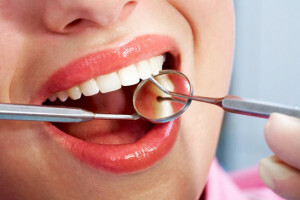 Special Procedures for Brushing and Flossing – If you have read this far, you know how important brushing and flossing are for patients with braces. These patients can benefit from a power (sonicare) toothbrush to help remove plaque effectively, pre-threaded flossers, plaque-disclosing tablets and positive motivation. Prescription-Strength Fluoride – After improving brushing and flossing, the next most effective method to prevent white spots is with prescription-strength fluoride, which has been proven to reduce cavities in kids. Fluoride fights cavities by incorporating itself into the surface of the tooth, replacing the hydroxyl group in hydroxyapatite – the mineral content of teeth – thus allowing tooth enamel to become more resistant to dissolution by acid. Four effective methods of topical fluoride application that we recommend include fluoride toothpaste, mouth rinse, gels and varnish. Using the Aforementioned Cavity-Fighting Material Known as CCP-ACP – Think of ACP – Amorphous Calcium Phosphate – as a tooth in a bottle. The particles of ACP crystalize to form apatite, the mineral content of a tooth, while casein phosphopeptides (CPP) help to stabilize ACP while still in the tube. The goal of both fluoride and CCP-ACP is to remineralize the surface of a tooth.